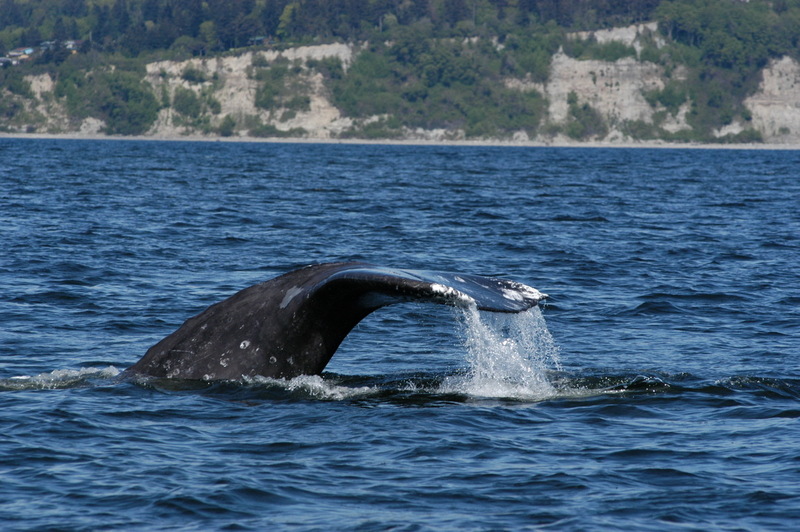 Engaging in the longest migration of any mammal, the California gray whale swims 16,000 kilometers (10,000 miles) each year, spending about one third of its life migrating from the cold, nutrient-rich waters of Alaska, to the warm, shallow lagoons of Baja California. Along the way, these incredible animals can often be seen from the shores of Point Reyes. At Point Reyes National Seashore, the peak of the southern migration usually occurs in mid-January and that of the northern migration in mid-March. Late April and early May afford the opportunity to see mothers and calves close to shore.